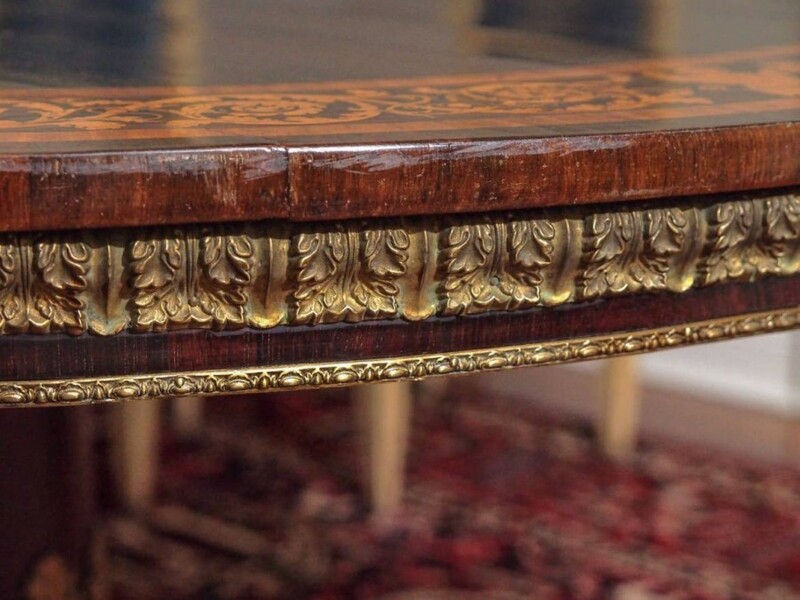 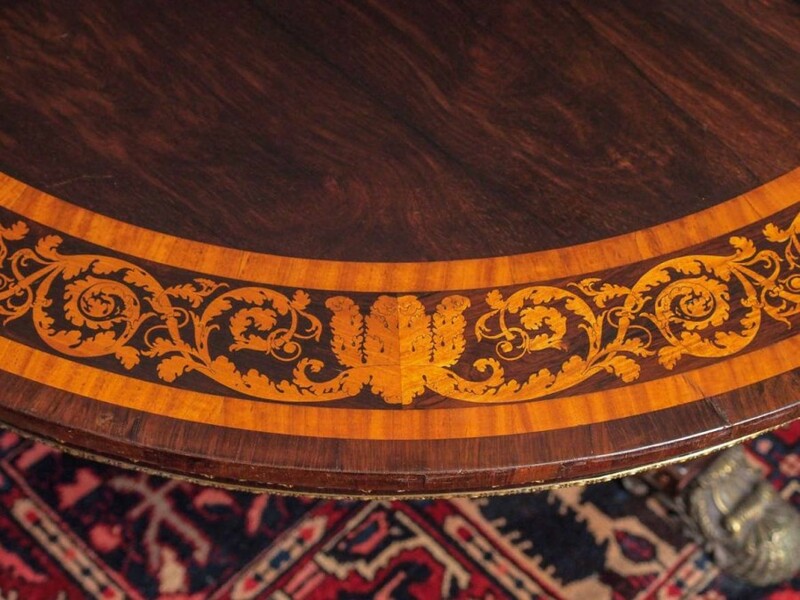 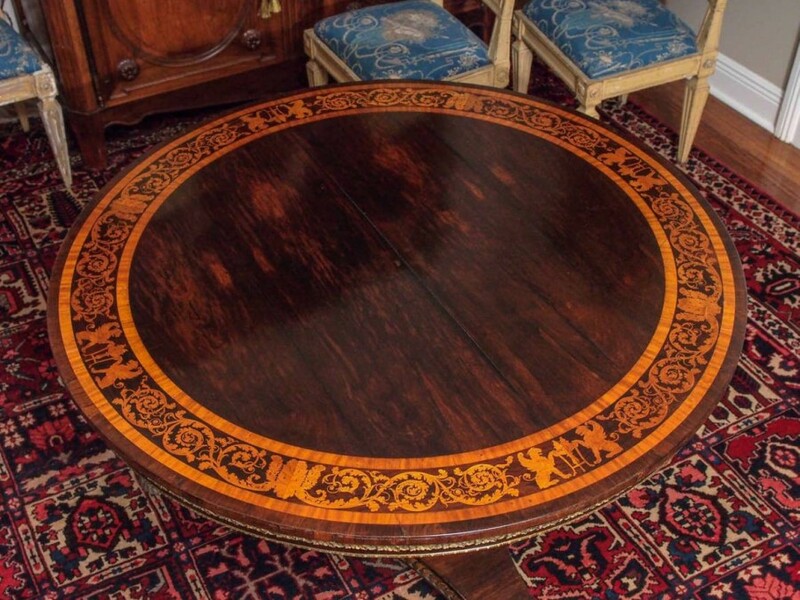 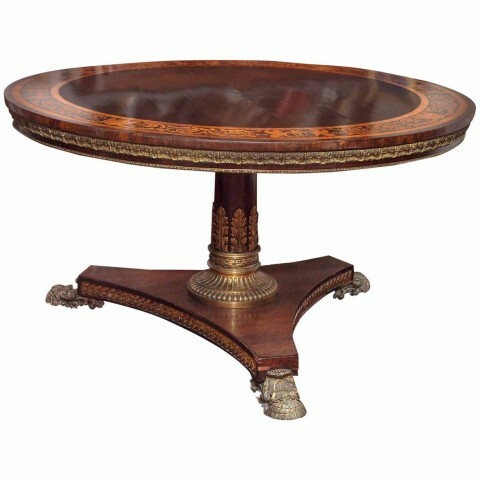 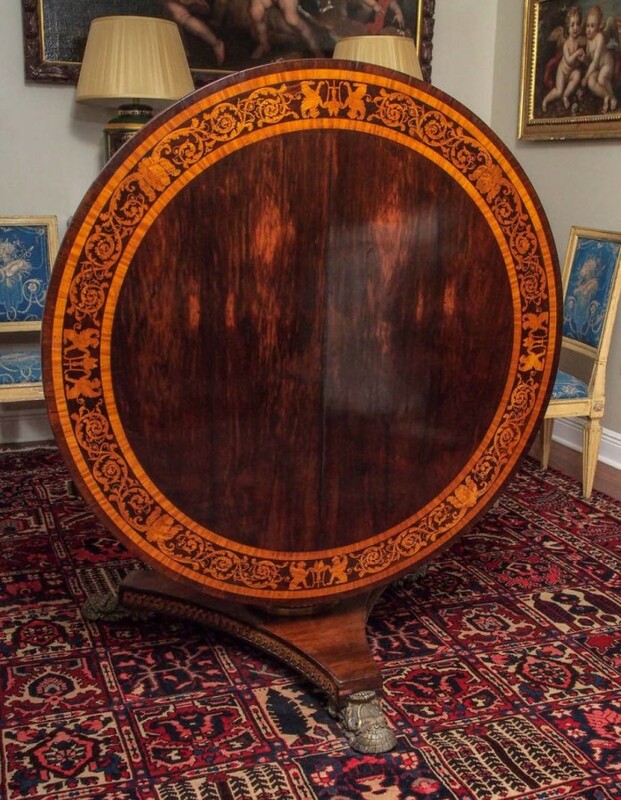 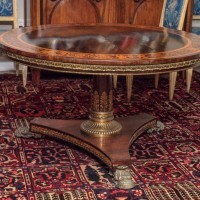 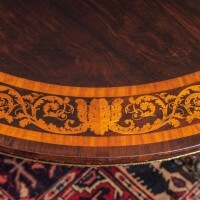 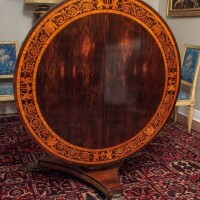 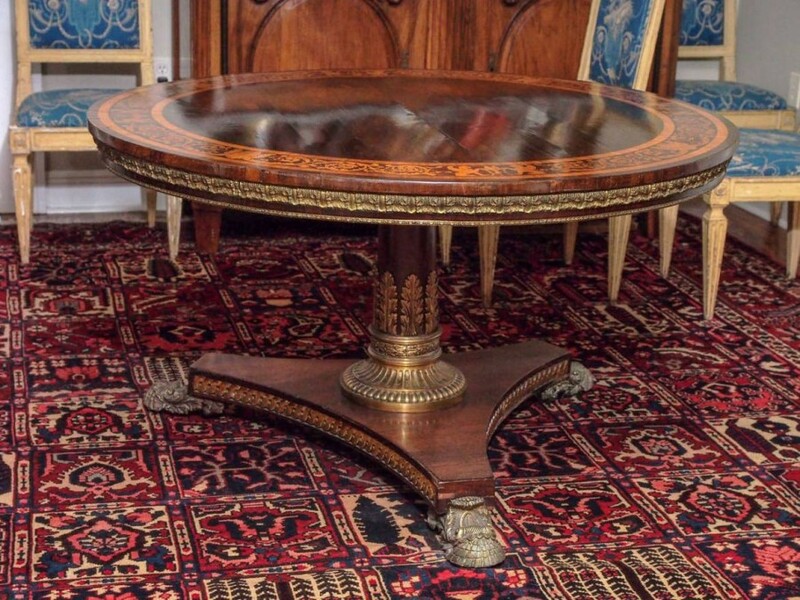 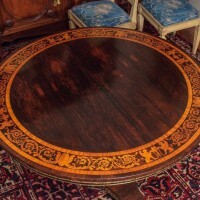 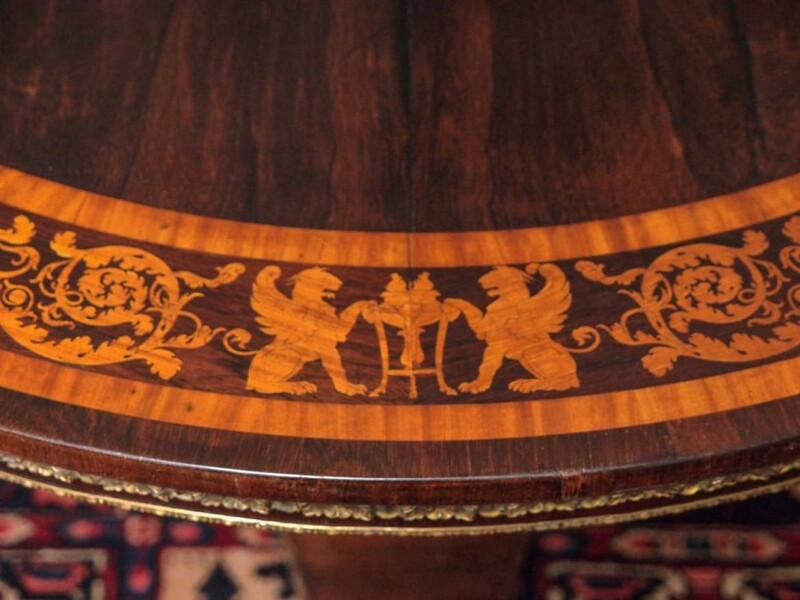 English Regency rosewood supper table with intricate yew marquetry inlay and extensive bronze mounts. 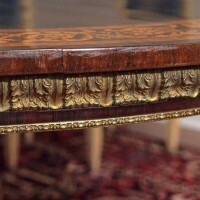 The apron is mounted with foliate design bronze. 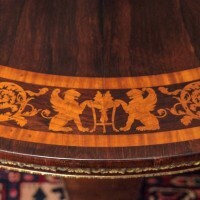 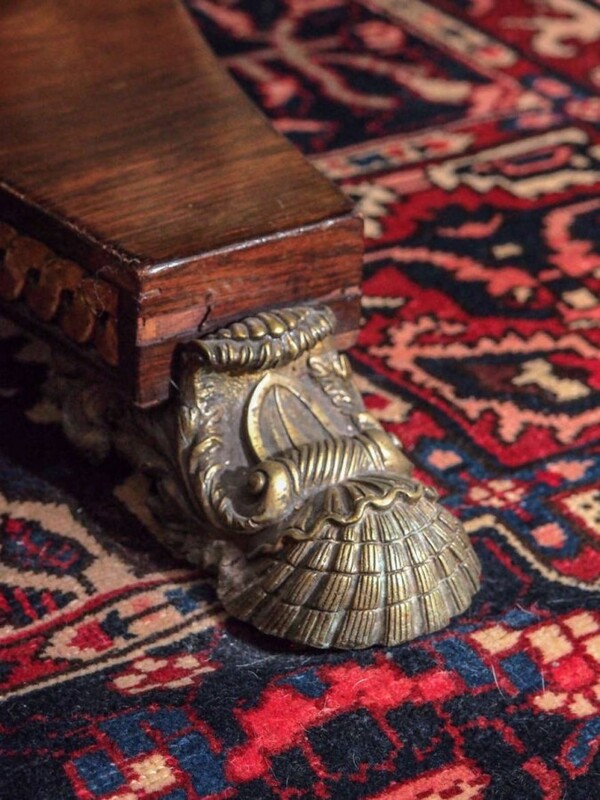 The central pedestal has acanthus climbing up from a fluted collar and the trifed base has inset with rinceau design. 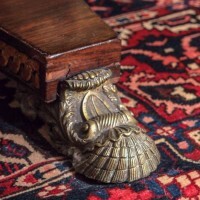 The feet are shell form with acanthus tongue.